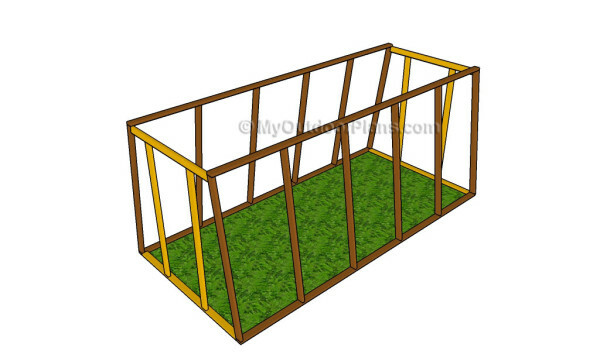 This step by step diy woodworking project is about how to build a greenhouse. 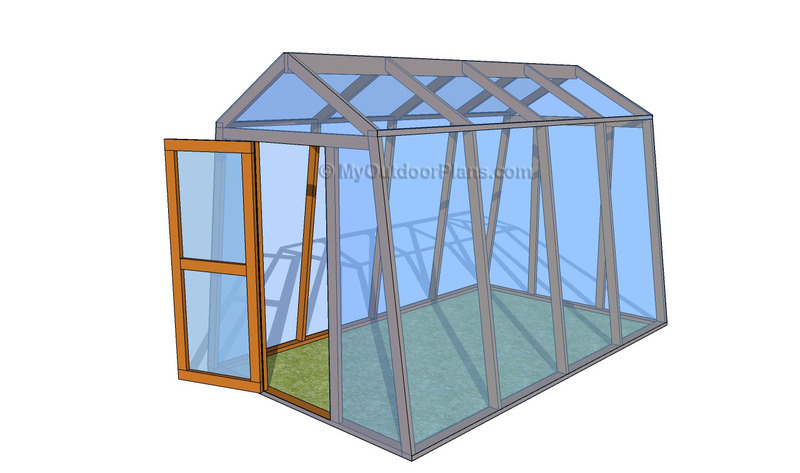 If you want to learn more about building an outdoor greenhouse, we recommend you to pay attention to the instructions described in the article. There are many other designs and plans to choose from when building projects for your backyard, so make sure you take a close look over the related plans that are featured on our site. There are many plans and designs to choose from, so make sure you take a close look over the rest of the greenhouse plans featured on our website. 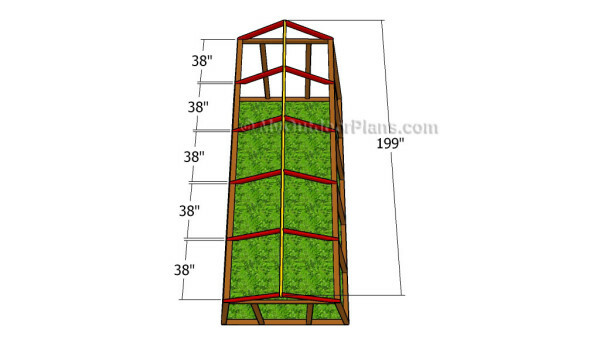 Plan everything with attention and adjust the size and the shape of the greenhouse to suit your needs. Plumb the legs and make sure the corners are right-angled before inserting the galvanized screws into place. Drill pilot or pocket holes to prevent the wood from splitting. Check out this video tutorial! It’s that simple to build a greenhouse! The first step of the garden project is to build the sides of the greenhouse. Therefore, build the bottom and the top plates, as well as the studs out of 2×4 lumber. Drill pilot holes through the plates and insert 2 1/2″ screws into the studs. It is essential to place the studs equally-spaced, otherwise they won’t support the weight of the construction properly. Leave no gaps between the components and repeat the process for the opposite side. 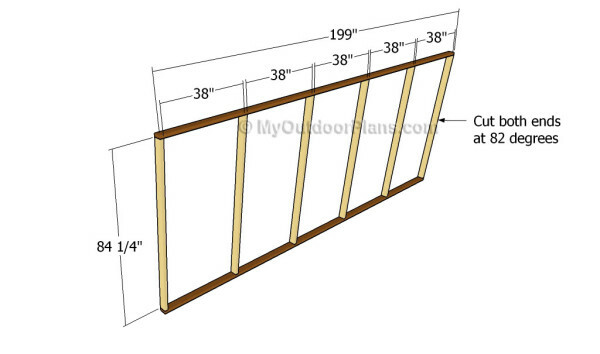 Continue the project by making the front and the back walls of the greenhouse. 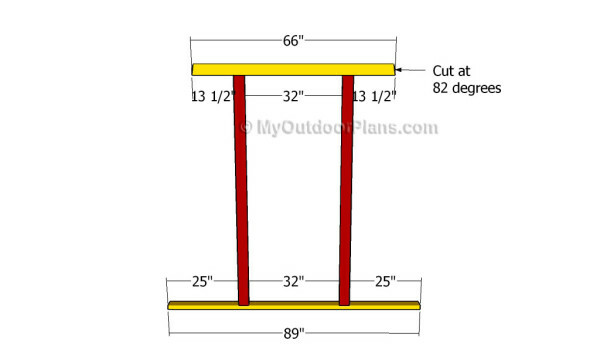 Therefore, cut the components out of 2×4 lumber, making sure you pay attention to the information described in the diagram. Drill pocket holes at both ends of the vertical supports and secure them to the bottom and top components. Adjust the dimensions of the door to suit your needs and make the appropriate changes to the frame of the greenhouse. The next step of the greenhouse project is to assemble the frame of the greenhouse together. In order to get the job done in a professional manner, we recommend you to plumb the front and the back walls of the greenhouse before inserting the 2 1/2″ galvanized screws. Work with attention and leave no gaps between the components if you want to get the job done in a professional manner. Place a spirit level on top of the side walls to check if they are horizontal. Building the roof for the greenhouse is a straight-forward process, as you just need to build the rafters and the top ridge out of 2×4 lumber. 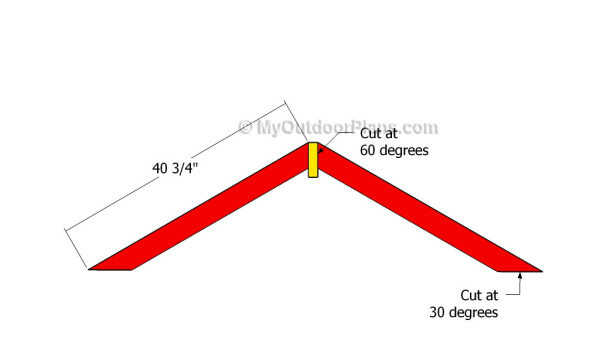 Take accurate measurements and cut both ends of the rafters at the right angles. Smooth the edges with sandpaper and remove the residues. Drill pilot holes through the rafters and attach them into place by inserting 2 1/2″ galvanized screws. If all the rafters are not the same, the end result won’t be professional. As you can easily notice in the diagram you need to place the rafters equally-spaced. Drill pilot holes through the rafters and lock them to the plates using 2 1/2″ galvanized screws. 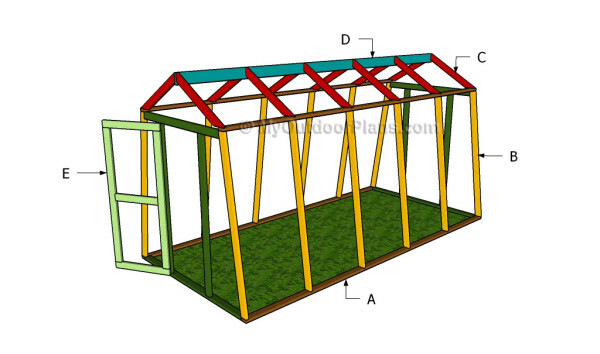 Building the door of the greenhouse is a straight-forward process, but you need to pay attention to the instructions described in the article. Cut the components at the right size after taking accurate measurements. Drill pocket holes at both ends of the vertical components and secure them to the top and to the bottom elements. In addition, we recommend you to drill pocket holes at both ends of the middle component before locking it into place. Top Tip: If you want to enhance the look of the woodworking project and to protect the table from decay, we recommend you to cover the components with paint or stain. 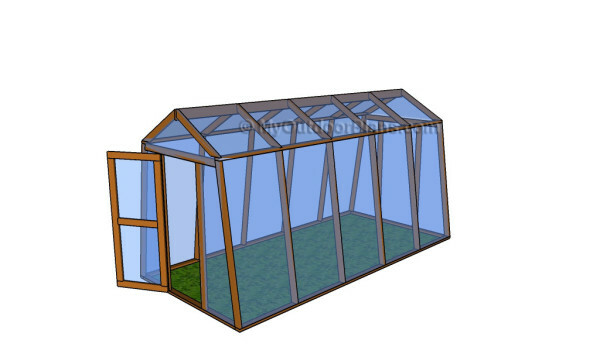 Place the greenhouse in a proper location and move it whenever necessary. Use transparent poly film or polycarbonate sheets to cover the greenhouse. 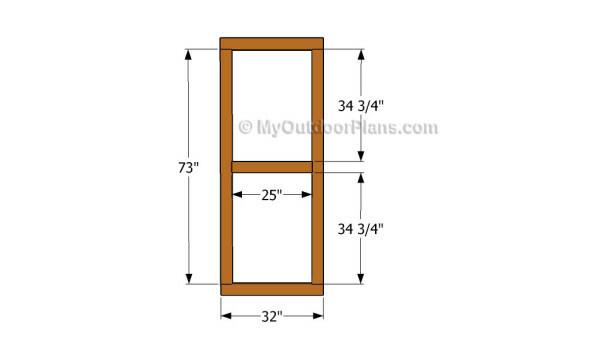 This woodworking project was about wooden bench plans. If you want to see more outdoor plans, we recommend you to check out the rest of our step by step projects. LIKE us on Facebook and Google + to be the first that gets out latest projects.